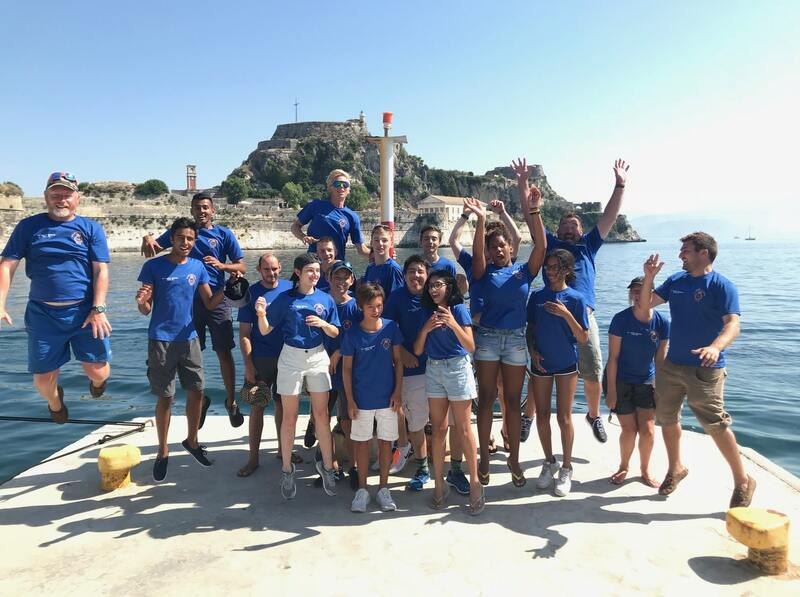 CCF RN Fifteen CCF cadets, eleven boys from City of London School and four City of London Girls School, along with six Cadet Force Adult Volunteers arrived at Gouvia Marina on the 15th August 2018. 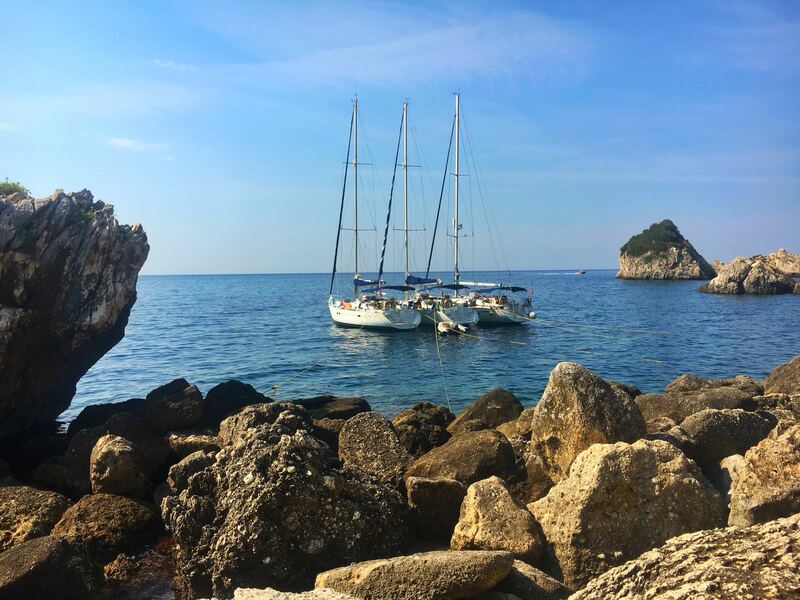 We arrived there following a short 8km drive North from Corfu airport, where we were introduced to the three yachts we would be staying for the next week. After the expected initial surprise at the size of the yacht, we began to unpack and settle in. We then went for a quick swim in the marina pool to cool down in the 30-degree heat before shopping for provisions in the small marina supermarket. We would complete a proper victualling (or provisioning) the next morning in the large supermarket in town. The first morning was slow as we all had a broken night’s sleep due to the heat and rocking of the boat. However, after an extensive safety briefing on the yacht and the use of lifejackets, we motored to an anchorage in Galiates Bay for lunch. On the final leg of the day, we encountered a good wind of Force 4/5, which is about 13-19 knots, which gave us our top speed of the trip at 8 knots. 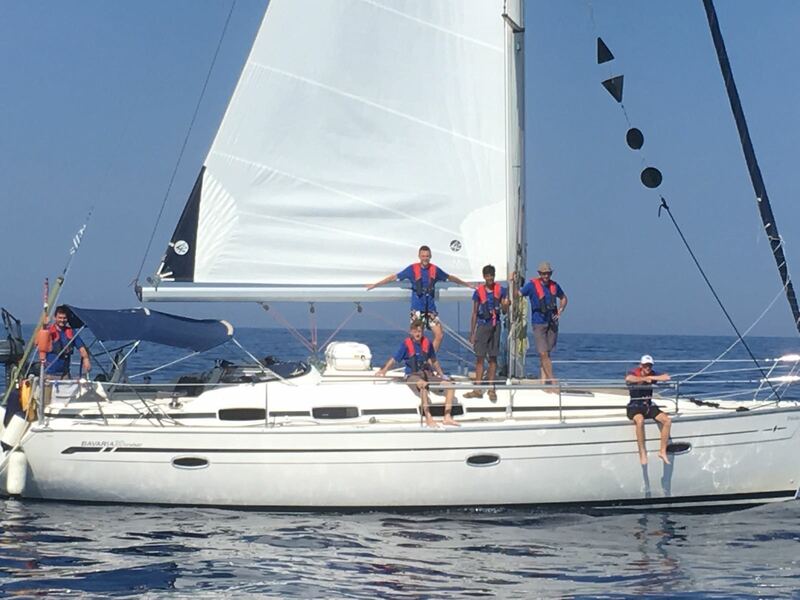 We had our first opportunity to practice tacks and gybes before we arrived at Kassiopi, a small town on the north coast of Corfu. The three yachts rafted alongside each other on a fishing pontoon. We had a prompt start and after a breakfast on board of cereal and yogurts, we were en route by 10:00am. 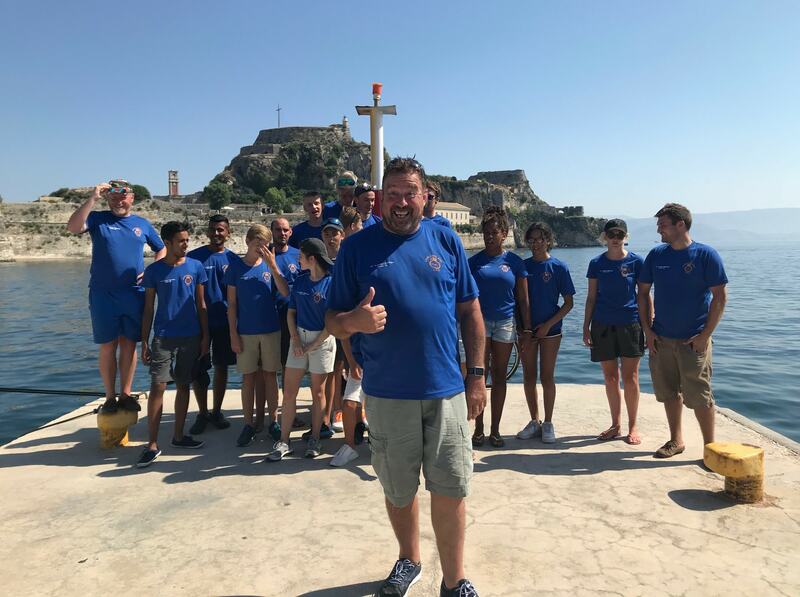 After sailing for three nautical miles, we arrived at the site of the 1946 Corfu Channel Incident, where Albania had laid mines in this channel. 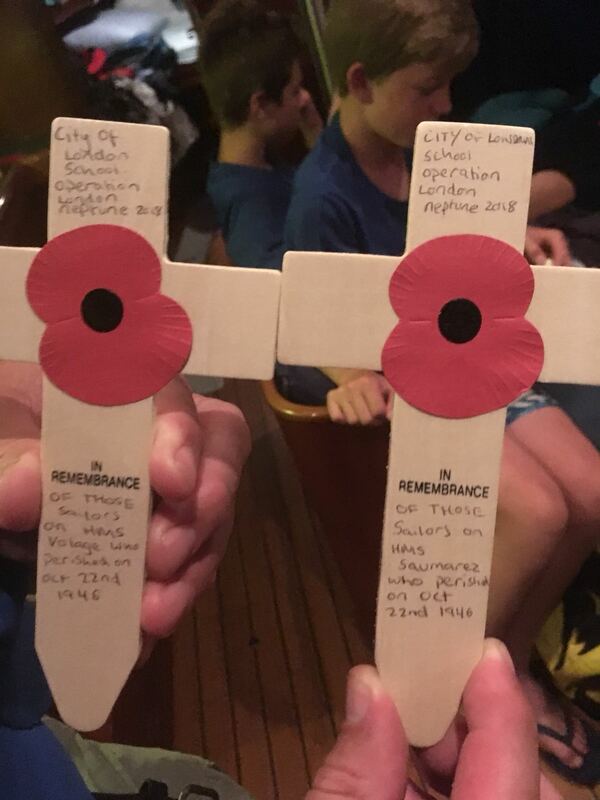 We held a memorial service to commemorate the 44 Royal Navy Sailors who lost their lives onboard HMS Saumarez and HMS Volage severely damaged by Albanian mines. Being at the site allowed us to fully appreciate historical significance of the incident in early days of the Cold War that led to breaking of diplomatic relations between Britain and Albania and were only restored in 1991 after the collapse of the Soviet Union. 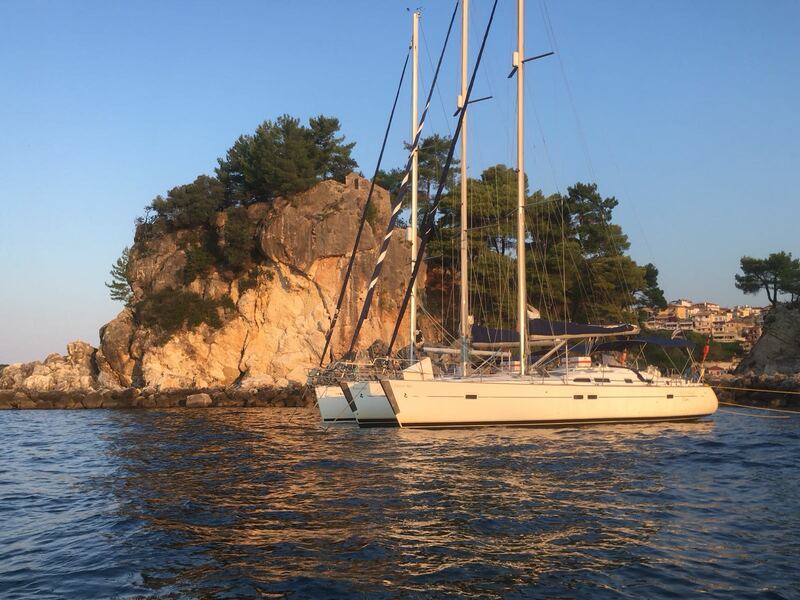 From there we sailed to Nsisperistera Island where we anchored for lunch in the shadow of Chersonisos Pagenias hill. We then sailed 16Nm to Sagiadha Marina where we berthed with our stern to the old sea wall. 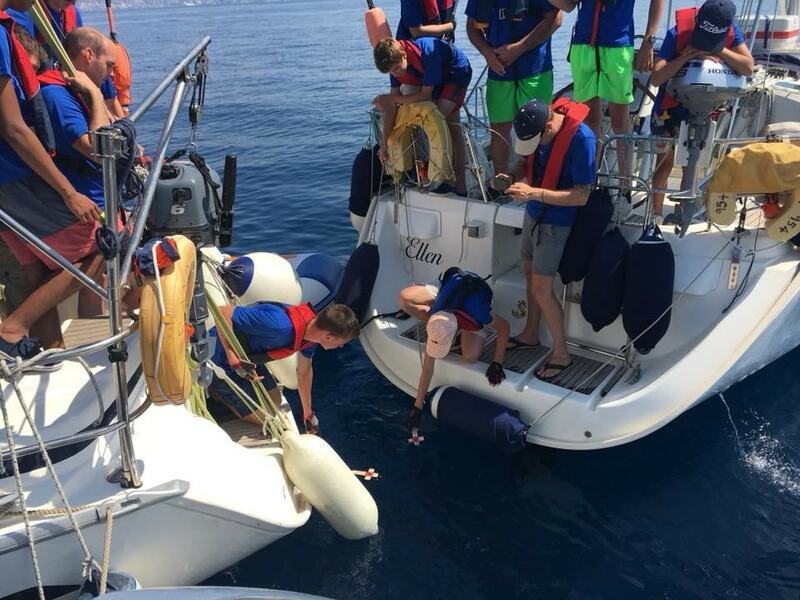 Coming into the marina was tense as the entrance was shallow with only 0.1m of water under a keel at one point. Whilst sampling the culture of this Greek town we took the opportunity to restock the yachts, as we would be staying at anchor for the next few nights. This helped us appreciate the need to plan meals for eight people and working how much water and provisions, we would need. It also instilled the idea of self-reliance and conserving the fresh water we had onboard. This meant we were limited to having very quick washes on the back of the yacht and washing the dishes with it. The next morning all three yachts departed Sagiadha Marina and started motor sailing to our lunchtime spot in very little wind. Then the engine on one of our boats started overheating, it was a timely reminder of how quickly things can go wrong. 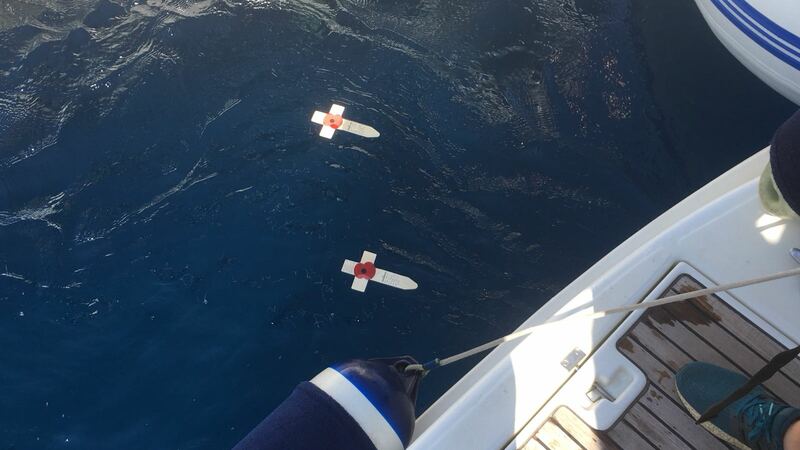 Fortunately, the other two yachts were able to return and assist if necessary. The skippers tried to fix it but the impeller had shredded so had to seek further assistance from the charter company. 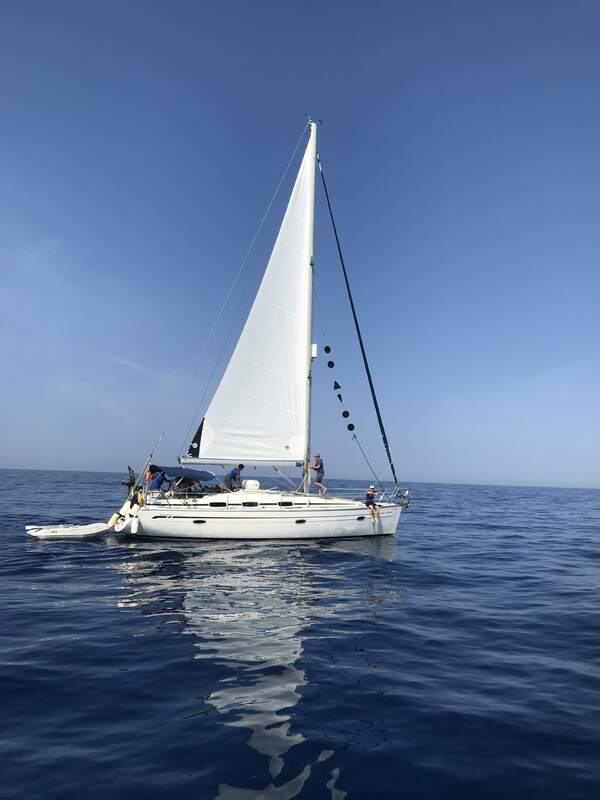 Whilst we waited for them to arrive, we practiced man overboard drills under sail and using the motor and discussed what to do in a real man overboard situation, which included using the sail to haul them into the boat or using the tender. We also learnt how to call the coast guard and send a ‘Mayday’ distress call in emergencies. After the yacht was fixed, we continued onto Mourtos where we stayed at anchor for the night and was the first time we used ‘lazylines’. We attached rope to the stern of the yachts and the other end to rocks on the shore to stop the yachts swinging if the wind changed. This is a safe and reliable way to anchor in busy anchorage, which Mourtos was. We all went ashore in our tenders, learning how to board it safely and tie it up. We explored the town and sampled the delicious ice cream. 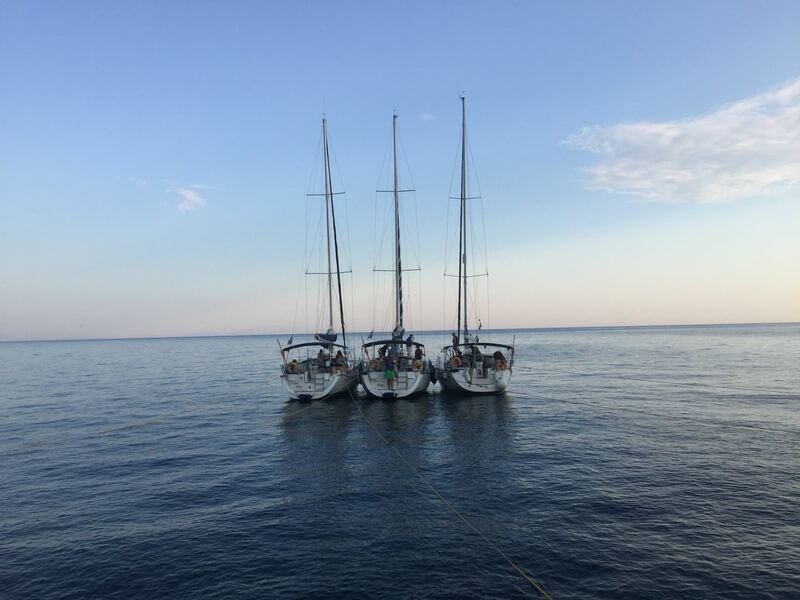 The following morning we started our journey to Parga, there was little wind so had to motor across and we used this time to learn and practice more of the knots required for competent crew. 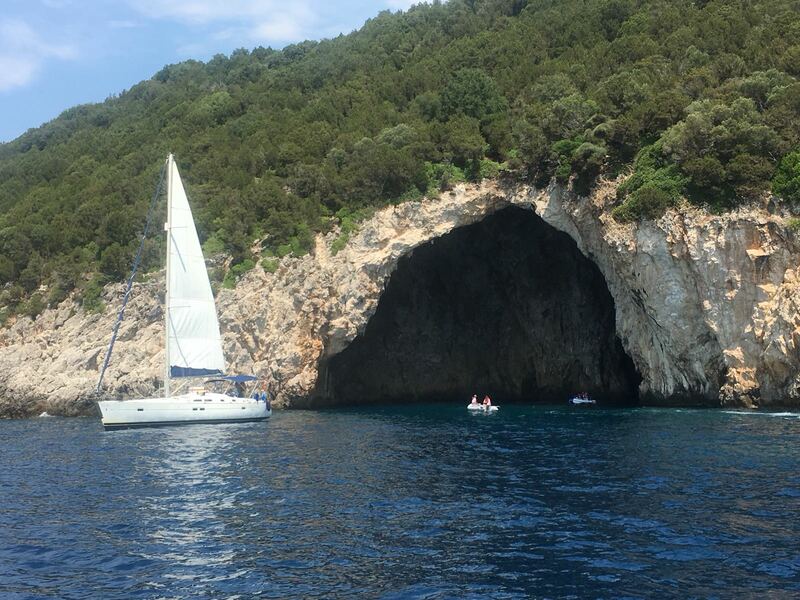 While we were sailing around the Sivota islands on our way, we came across a massive cave that we explored in the tender and we could observe the effects of coastal erosion up close. 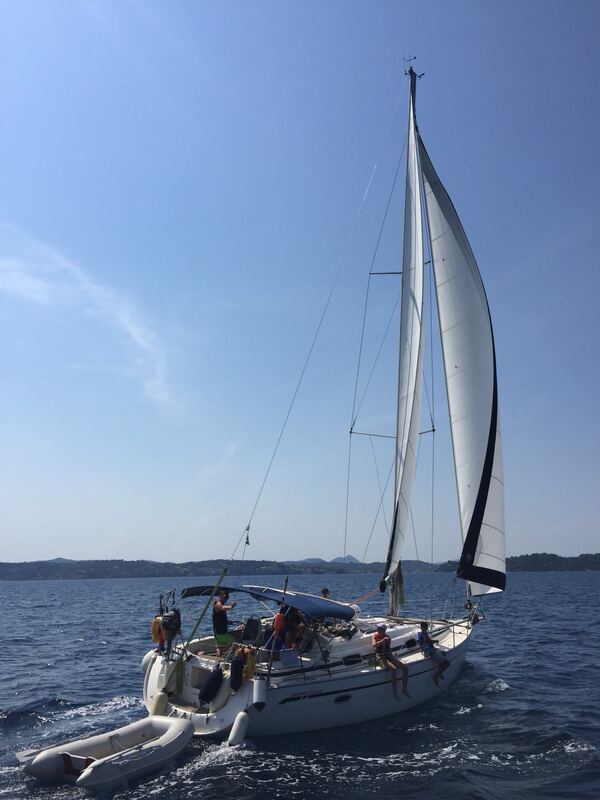 After the night in Parga, we left the Greek mainland and sailed to Paxos, an island south of Corfu. After a long day, we arrived in Lakka in the north of the island. We dropped the anchor, set up our lazylines and sorted out dinner for the night. During our ashore time, we explored the traditional Greek town and looked at the small shops lining the narrow streets. 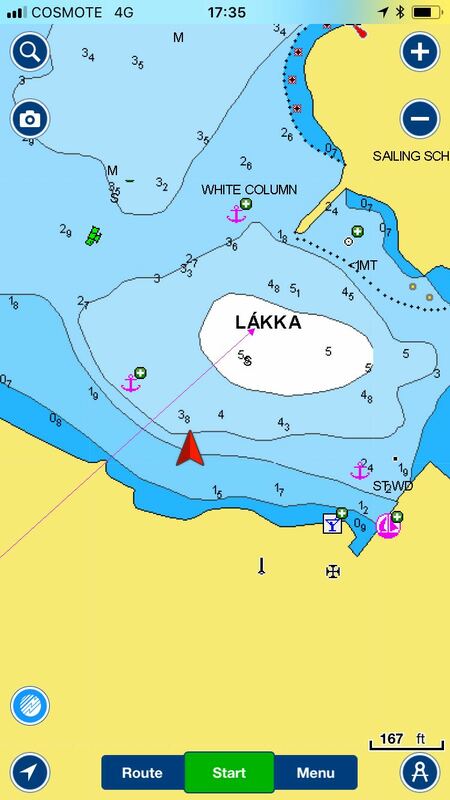 We departed from Lakka early as we had a very long sail ahead of us, 32 Nm back to Corfu. During the journey, we learnt about the points of sail and perfected our knots. 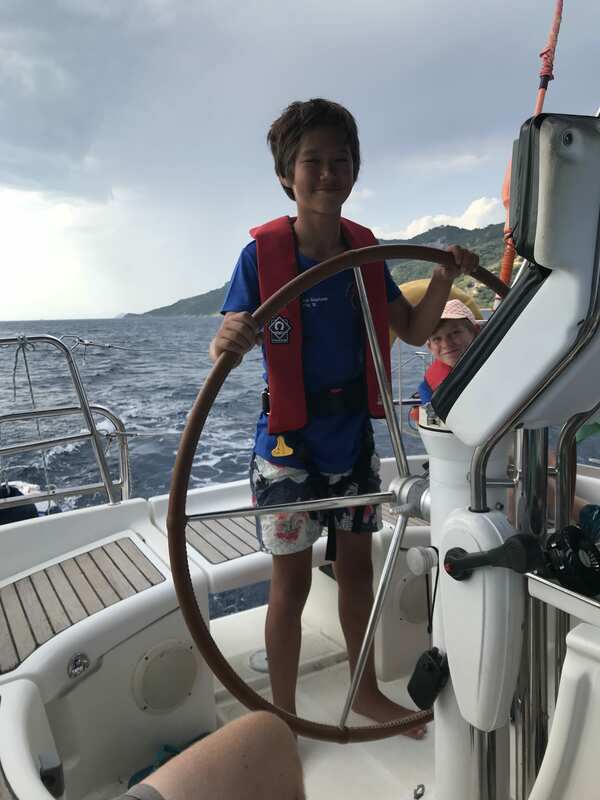 On the journey to Corfu Town, the wind picked up and we practiced tacking and gybing up the coastline before arriving at the Marina. Here we moored alongside many superyachts and saw the biggest sailing yacht in the world, Yacht A. 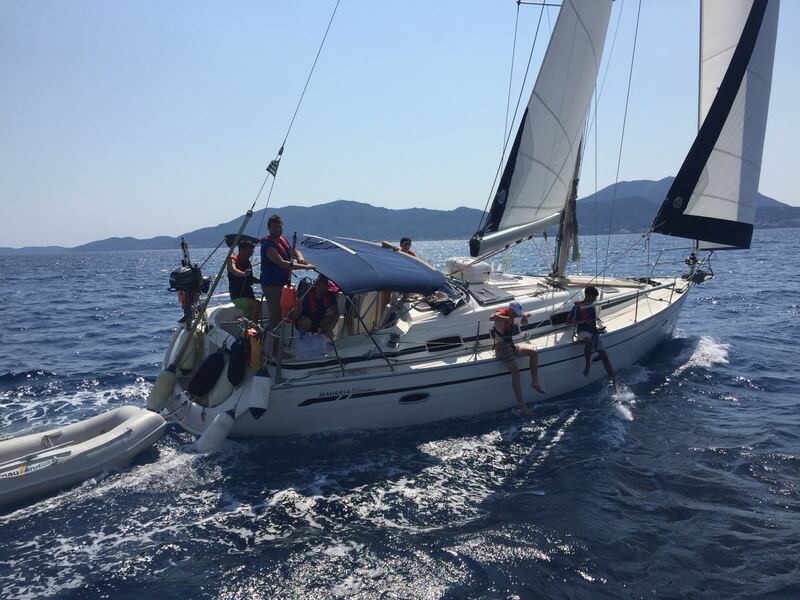 The final day of the expedition saw a slow start as one yacht had a broken throttle handle. There was not much wind so they would have to motor back to Gouvia Marina. 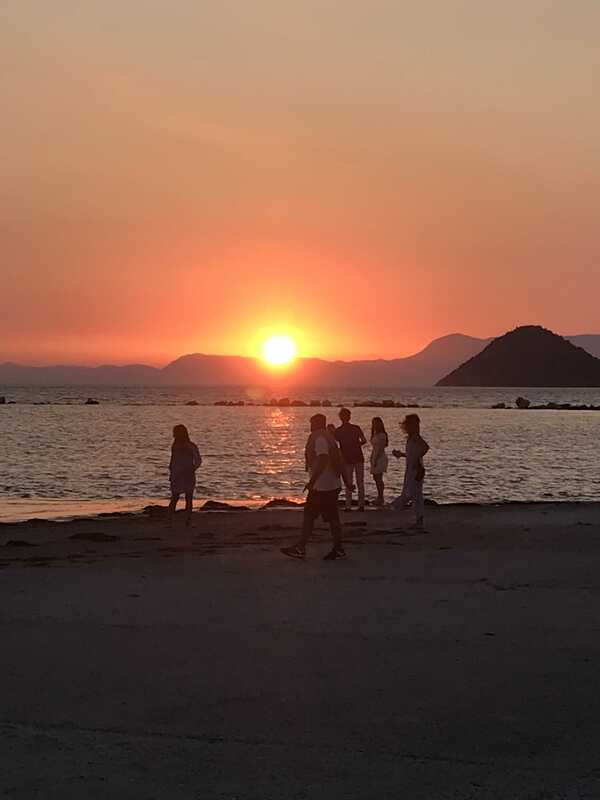 We arrived at Gouvia marina and after packing all our things, cleaning the boats and filling the water tanks, we had a reluctant farewell to an excellent expedition. 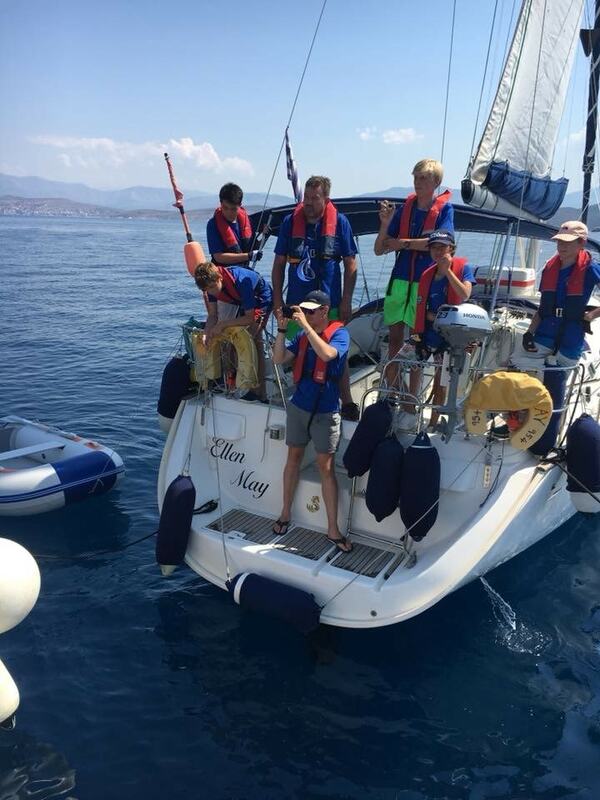 This trip has been a huge success with four people gaining the RYA Day Skipper qualification and thirteen people gaining the RYA Competent Crew qualification. I have as my yacht mates thoroughly enjoyed this challenging experience and these memories will stay with us for the rest of our lives. 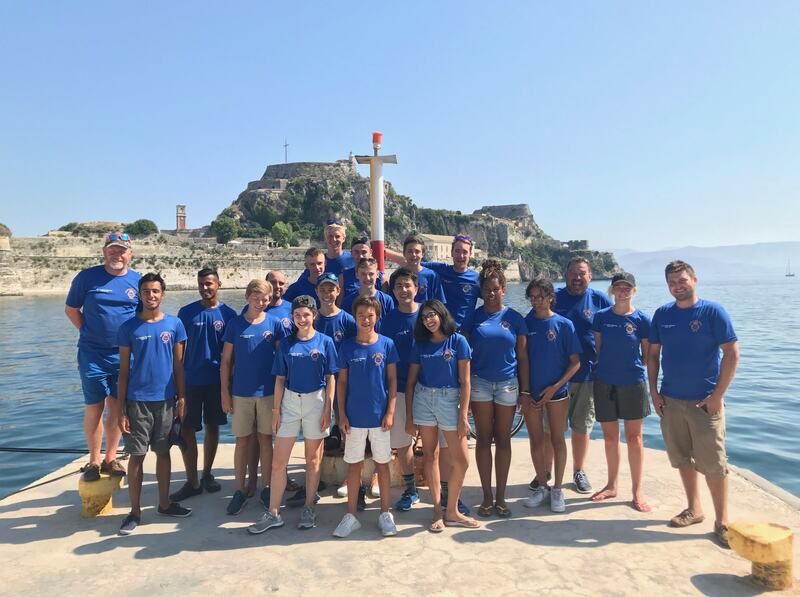 We have also learned a lot from this trip including leadership, resourcefulness and independence, which should stand us in good stead for future challenges. We would like to thank Lt Cdr Gregory, CCF RN HQ and Ulysses Trust for making this expedition possible.